On October 22, 2007, the Cold Spring Area Historical Society held its first annual membership meeting. An official slate of officers was elected and the organization approved its by-laws. This story includes a number of classic photos of Cold Spring in the early years. It marks the beginning of a group of people who are passionately focused on maintaining the very special history of the Cold Spring area. 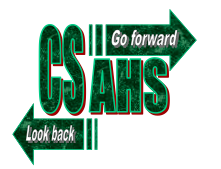 The Cold Spring Area Historical Society (CSAHS) was started by a group of local citizens who started meeting in November 2006. It was incorporated by the Minnesota Secretary of State in January 2007, and is applying for 501(c)(3) non profit status. The CSAHS is interested in preserving some of the equipment and artifacts being moved from the current Cold Spring Granite site in downtown Cold Spring. At the current time, CSAHS has no collections of material, however they are currently formulating by-laws, collection priorities and procedures. They are planning a virtual museum, research center, and Cold Spring Museum. They are to be affiliated with both the Minnesota Historical Society and the Stearns County Historical Society and Museum. Voting membership in the Cold Spring Area Historical Society. Outstanding volunteer opportunities as a member of the Board, or one of the several committees that are currently forming. Invitation to the annual meeting of the Cold Spring Area Historical Society (CSAHS). The pride in knowing you are helping to preserve the history of the Cold Spring area. Unlimited admission to the Cold Spring Virtual Museum online. Subscription to the members’ Email newsletter the Cold Spring Pioneer. Your contribution assists in the preservation of area artifacts and historical documents, supports education programs, and helps us maintain and expand our collection and exhibits; a research center, a virtual museum online, and future museum. The Day All Hell Broke Loose! Herb Theis "A philosophy of giving!"